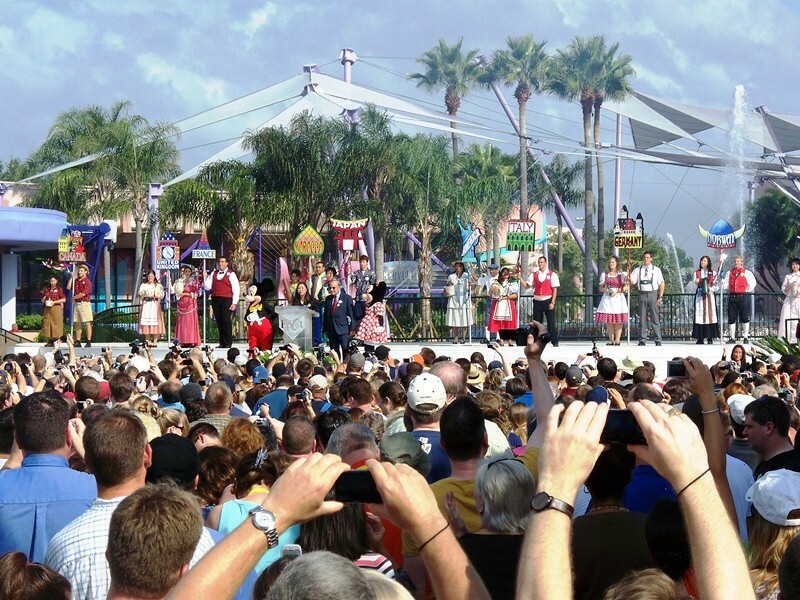 Chances are that the majority of us remember the 15 Years of Magic, the celebration that included displays, parades, performances, and giveaways that were part of the yearlong party for Walt Disney World’s 15th birthday. Putting on festive events to celebrate milestones for parks and the resort as a whole were a part of the very fabric of Walt Disney World’s first two and a half decades, many times these occasions would be the uniting theme throughout the resort for an entire year. Since that time, however, Walt Disney World has been fine with what amounts to sending their parks a birthday card in the mail and moving on with the day to day routines of operating the resort. There may have been a button, but the party atmosphere for the parks was, quite literally, wiped off of the maps. It was in this environment, as we approached Epcot’s 25th anniversary five years ago, when no word had come down from Disney of how they would mark the occasion, that the community of Disney park goers decided to design their own festivities. From small forum get-togethers to larger, conference-like events, everyone ramp up the level of excitement for the anniversary. That is when the pendulum swung again. Realizing that as a community we were doing more to celebrate the park than Walt Disney World was prepared to do itself, Epcot was given a rededication ceremony, commemorative merchandise, special IllumiNations tag, show-and-tell with Marty Sklar, and a gallery that showcased the history of the park. 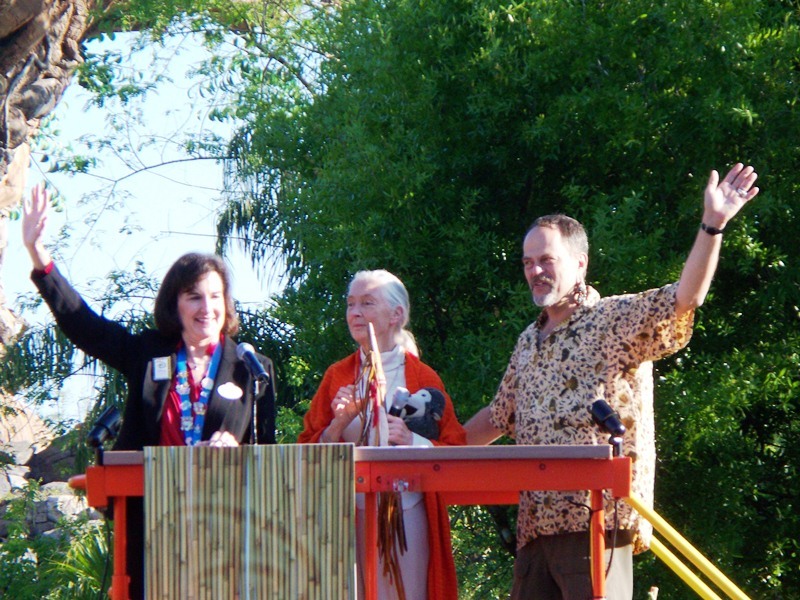 Disney’s Animal Kingdom followed suit the next year, for its 10th anniversary, by bringing in Jane Goodall and Joe Rohde. As D23 has continued to develop itself as the keeper of milestones and park histories, other events, some not directly tied to a specific date or anniversary, have begun to pepper the calendars of Disney enthusiasts who make pilgrimages to California and Florida. Imagineers and the work of Imagineering has been brought back to its proper place as the forefront of theme park design and insight, with the ability to share their stories with all who are willing to listen. But we have not yet come full circle. With Epcot’s 30th this past weekend there were no giveaways or contests, no resort-wide celebration, and certainly no element that lasted beyond the park’s official birthday on Monday, October 1. I wouldn’t expect that sort of celebration for Disney’s Animal Kingdom’s 15th anniversary in 2013 or the 25th anniversary of Disney’s Hollywood Studios in 2014 (although I’d be happy to be proven wrong on either point). No, if there is to be another party that encompasses the entirety of Walt Disney World for more than just a long weekend, I wouldn’t look for it to show up until 2021 when Walt Disney World and the Magic Kingdom turn 50. To be honest, I think this past weekend’s celebration of Epcot was a brilliant model of how to put on a party for the parks going forward. There were wildly successful and energetic fan events, D23 put on college level history classes taught with that perfect blend of edutainment, and on the actual anniversary the park released collectibles and had a few special events that were open to all. If I’m being fair, I would like to see a few more events taking place for all guests, particularly for those who just happen to be in the right place at the right time, to really hammer home what a magical place Walt Disney World is. As the resort and parks continue to grow and change, the thinking behind how best to honor them appropriately is sure to evolve as well. We have shown that as a community we are willing to pick up the slack that Walt Disney World may leave hanging, but I’m not sure that it will ever come to that again, at least not for major milestones. There are so many voices both internally and externally driving the charge to give the parks the respect they are due, that it is a great time to celebrate with your favorite park! Agreed -- things are looking up. D23 is certainly a comforting presence; it's good to know that part of the company really does care about history and lifelong fans. I hope that the celebrations continue to be fan led, rather than centrally organized. This way, they reflect the interest of those who love the parks, not what some MBA's marketing model suggests would generate the highest ROI. I think that both D23 and fan created events both have their place. The both know what their target demographic wants, and how to put together memorable occasions.